Another spring break, another week spent traveling with a group. Whether you opted for the sunny beaches of Cabo, the intellectual thrill of a service-learning trip or some other adventure right in the middle of that spectrum, there is likely one element in common: you had to spend every waking moment with the same group of people. To be fair, you also “got to” spend every waking moment with the same group of people. But for those of us previously unused to such a high level of human interaction, it can get a little claustrophobic at times. And because you’re stuck with said group in a foreign city or country, there is often no escape. When everyone is struck by similar afflictions of fatigue, irritation or hangover, it isn’t uncommon to want a vacation from your vacation. First is the pain of indecision. A critical mass of people in the group becomes hungry, and so popular opinion suggests that it’s time to eat. Wandering around a neighborhood, your entire group is inevitably split by choice: cuisine, price, selection of cocktails, attractiveness of the waitstaff, etc. Your group bounces back and forth between options, maybe even creating a scene in the street. After painstaking debate and slow acquiescence, the group finally decides on a restaurant. Then you have to order, and so begins the battle of individualists against collectivists. Is it each person for his/herself, or should the entire table approve of the other dishes ordered? If two people want to order the same item, will that satisfy the tastes of those craving variety? How many pitchers of sangria are enough for the table? Each question invites new possibilities for discord. The situation takes a turn for the worse when the food arrives. Some of us are used to ordering one item and eating only this item; an entrée ordered is a claim made on a piece of property. Others may assume that everything is up for grabs, the dreaded “family style” method of eating. And so, before you know it, a fork has begun to invade your plate, and an eager voice is asking, “Hey, can I try this? Thanks!” without waiting for a sign of approval. Can you be that person to refuse your friend a bite of your food? You can’t. It’s social suicide, as some might say. Instead you’re forced to watch as other flocks of forks descend upon your food. In a moment of bitter irony, you realize that the better your food, the less of it you will be able to eat. Your friends invite you to try their food, and all you can think is, “I would’ve ordered that if I wanted it,” as you force a smile and take a small forkful. The mutually acknowledged split doesn’t go much better. Let’s say you wisely decide to split huge plate of nachos with the person next to you. The nachos arrive, and you both dig in eagerly. But who’s eating the nachos faster? It might not be you. Soon enough you’re involuntarily caught in a competition to keep up with your hungry neighbor. If this person is eating nachos faster than you, and if you both eat until the plate of nachos is empty, you will get fewer nachos. This is a particularly sensitive issue when the bill finally arrives. Do you pay for half the food if you were only able to grab one-third of it? The problem persists even if the table generally stuck to a one-dish-per-person rule. Some people were under the impression that they would pay only for the food they ordered, while others assumed that the total cost would be split equally among the entire group. And, unsurprisingly, you notice that the strongest proponent of equal splitting is the person who ordered the lobster and steak entrée with a bottle of wine. Here, in one group dinner, dwells every problem associated with group travel: the indecision, the differing preferences and the financial issues. These problems rear their ugly heads in every aspect of travel, from choosing a hostel to planning tourist activities and other expeditions. Have I been too pessimistic? I suppose I should mention that I had a flawless group dinner at the end of my spring break trip last week. We had a fantastic evening of conversation, food and beverages without any tension. Well, except that I had to negotiate the plate of nachos that I split with my neighbor, but I made sure to eat them just as fast as he did. 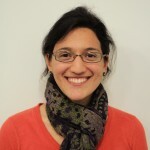 Miriam hopes your group dinners have been positive experiences — tell her about it at melloram “at” stanford “dot” edu.